Strategic Initiative #1: Maximize Situational Coaching. This is not tactical. It’s hard because excellent coaches are often overworked, short on time, and have varying subject matter expertise. Additionally, the best coaches are subject matter experts expected to set up compelling sales situations on the fly and instruct the sales reps to recognize how to make better decisions. Situational decision making is the important coaching distinction here. Presentation skills honed through video coaching solutions help reps deliver a better pitch; however, larger gains in performance are more likely a result of making better decisions on what to say – not how to say it. While quality one-on-one coaching is hard to scale or successfully delegate to sales managers, it can be done in an optimal form with advanced technology. How? Capture the approaches of your best coaching in an intelligent platform and allow sales people to practice virtually in realistic situations with embedded expert coaching. The benefits are that reps receive great coaching in situational decision-making, gain the experience they need to be successful, AND your coaches and sales managers are freed up for a nice ROI. Great one-on-one coaching is like being in the cockpit with the best "top gun" flight instructor. 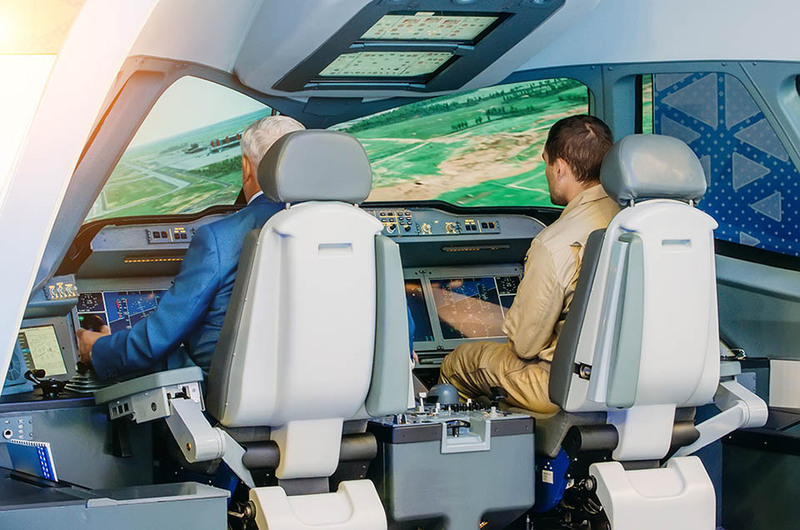 Sales people immersed in a virtual practice and coaching platform is like a pilot honing their skills in a flight simulator. 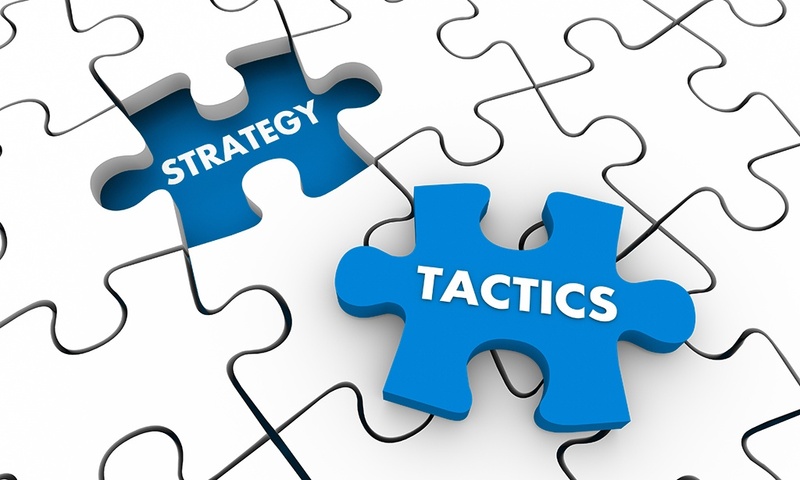 Strategy Initiative #2: Translate Sales Training Effectively to the Field. Organizations invest heavily in an onboarding / training curriculum that details the company sales process – often with frustrating results: months later, learners show poor adoption and suboptimal field performance. What’s the strategic move here? We are not talking about spaced learning and microlearning to battle the inevitable forgetting curve. That’s important for retention but misses the big gain. 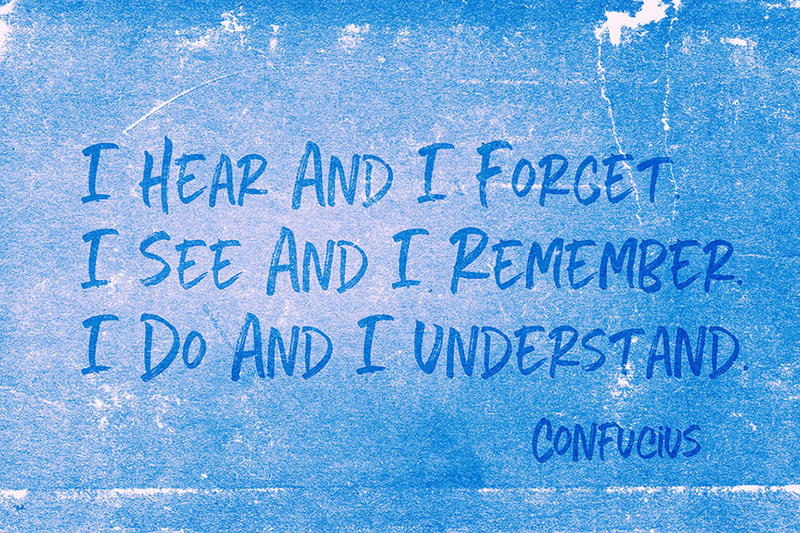 Practicing how to apply what was learned in real situations is turning the knowledge into skill – into performance! Though, practicing in front of prospects is not ideal. Instead, there is a better way. Immerse sales people in realistic virtual situations where they make decisions and receive expert coaching to build a robust mental model of what good decision making looks like. They emerge from this virtual practice having experience what great performance looks like and are ready to implement with confidence in the field. Big performance gains come from learning by doing. 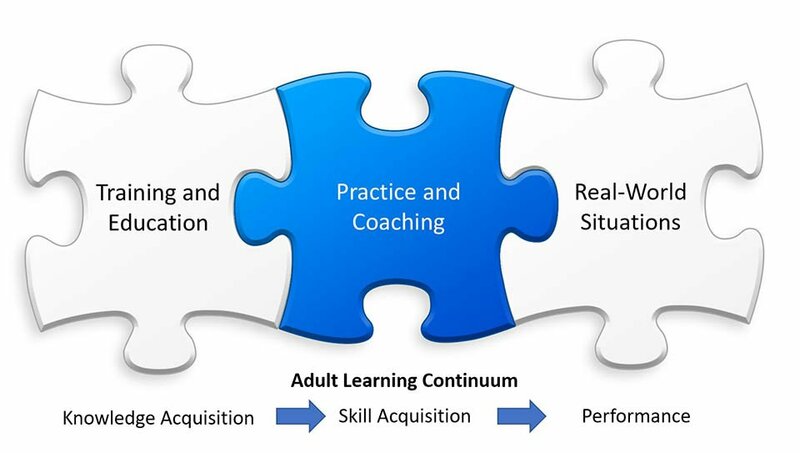 Strategy Initiative #3: Using Virtual Practice and Coaching to Close Common Performance Gaps. Every sales organization has their own set of common performance gaps that sap performance. These are not tactical issues but rather strategic ones that one needs to proactively identify – you probably know what most are already. Once identified, how do we close these gaps? By enabling sales people to experience virtually how top performers make decisions and navigate these situations. With this virtual practice and expert coaching, they can recognize the situations in the field and confidently know what to do. To complete the cycle, measuring what situations (performance gaps) needed the most coaching provides a way evaluate how your team members are doing and where you should focus further intervention. While every sales organization is under constant change to address tactical challenges, strategic initiatives are opportunities to make existing investments work better, thereby creating significant gains in performance. All three strategic initiatives above share one common theme: Situational learning through practice and coaching is the best way to put knowledge into action, improve retention, and give sales people the skills and confidence to make better decisions in the field. Traditionally, practice and coaching are a time-consuming one-on-one exercise with gifted coaches. Now, there is a new cost-effective, scalable option to achieve all three strategic initiatives in one virtual practice and coaching platform.